AGCC Commissioners, sitting as a tribunal, have today revoked the licences of Vantage Limited, Filco Limited and Oxalic Limited, trading as Full Tilt Poker (FTP), with immediate effect. This follows the earlier suspension of the licences on 29th June 2011. At a hearing held in London over six days, it emerged that FTP had fundamentally misled AGCC about their operational integrity by continuously reporting as liquid funds balances that had been covertly seized or restrained by US authorities, or that were otherwise not actually available to the operator. Serious breaches of AGCC regulations include false reporting, unauthorised provision of credit, and failure to report material events. The full and lengthy report can be read in the determination notice. It is important to note that the revocation of FTP's licences does not, as has been suggested, prevent a reactivation of the business under new ownership and management. Unresolved claims by players against FTP become a matter for the police and civil authorities. Why did the AGCC not hold its fire until at least the current negotiations with potential investors were concluded? This could only have benefitted the players. Dublin, Ireland (September 30, 2011) Laurent Tapie, Managing Director of 'Groupe Bernard Tapie' announced today that the group has signed an exclusive agreement with the Board of Directors of Full Tilt Poker to acquire the company and all of its associated assets. This agreement...includes the repayment of Full Tilt Poker's world-wide players in full. Although it was common knowledge that Full Tilt was in serious negotiations with outside investors, this still came as a bolt out of the blue after months of waiting and disappointment. 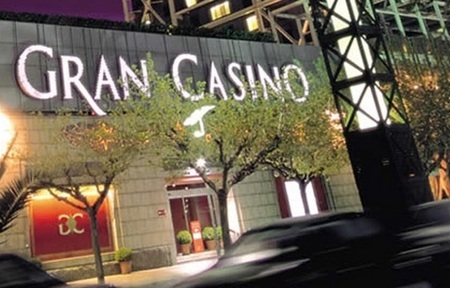 I spent two evenings playing blackjack this last week at the Casino Barcelona, situated on the sea front in the Catalan capital of Spain. It wasn't an entirely trouble-free experience. A necessary preface to this report: in case any of it sounds like an vast overreaction (and I'm sure it will), in my defence I should say that it's embedded in my DNA to not make blackjack mistakes, or allow situations to occur where mistakes are forced upon me. Mistakes cost money in the long run. Some of this is actually faintly amusing, from a rather perverse perspective. One of the first rules of playing blackjack is to always have enough money available to cover the additional double and split bets that occur approximately once in every ten hands. If you don't bring enough extra cash for at least one extra bet, the house advantage increases on the basis that for every ten times you end up betting your last chip, you will on one occasion be dealt a double or split situation which you won't be able to play correctly. As such, I always ensure that I have at least a bit extra to hand. My strategy - if I can so call it - for real time blackjack play is to buy in for ten units, then either lose the lot or double up to twenty and call it a day; or, if it's a variance-free session with no loss or double up after a couple of hours, simply cash in whatever chips I've got in front of me and leave. This method ensures that my play is always well under control. On this occasion, after a period of meandering around my initial buy in amount for quite a few hands, I went on a swift losing run and ended up down to my last chip. I put it in the box and received an 11 against dealer 3. Double down needed, so I reach for the five euro note I have in my shirt pocket. My pocket contained many things, all of which I managed to encounter on an increasingly anxious search for the money - passport, metro train tickets, paper tissues, comb...but no money. An irritable player to my right is offering to cover the double with his own money, and I'm holding up the game. Still no money. I give up in extreme irritation - it was there when I sat down. I call for a card, radically misplaying the hand and fuming at myself. To add to my annoyance I receive a ten, giving an unbeatable total of 21. I should have won double on that hand. But win or lose the hand, I'd played it wrong (if anyone's interested in the numbers, not doubling 11 against 3 costs about 26% of the return from the optimal play, the double). The hand complete, I search again for my money. Voilà, it was sitting somehow tucked around my rail tickets. Why the heck couldn't I find it when I needed it? It's not like the world was going to end if I'd taken a bit more time to sort through my overcrowded pocket, but with a table of anxious players waiting for me to get a move on I'd given up and forced myself into making a bad play. I am now royally angry with myself. I leave the table, walk across the floor in a huff and head for the toilet. I go into a cubicle, then just stand there and carry on fuming at myself for several minutes. After about five minutes, I forget all about my mistake. Because I hear a female voice. A cleaner? Quite possibly, but who's she talking to? Another cleaner? Hardly one of the male customers, so either there are two cleaners there, which also seems unlikely, or...I've walked into the female toilet. No, I can't have walked into the female toilet. I've never done that before. No, hang on. I was so distracted over my foolish behaviour, I might well have done just that. In fact, I don't think there's a plausible alternative explanation. How to extract myself from this situation? Maybe best that I wait until I can't hear anyone, then just open the door and make a run for it. Which way is the door? I've totally forgotten the geography of the place. What if there's a woman there, quietly doing her makeup at the wash basin? No choice. I open the door and make a run for it. Sure enough, there's a woman at the washbasin. And when she sees me, she doesn't just look surprised, she looks like she's having a heart attack, like I've eaten her daughter or something. Nevermind, there's the door. No, the image of me rushing towards myself tells me it's a mirror, not the door. Where's the wretched door? Have the police been called yet? I find the door to my right, shoot through it and run the length the casino floor, seriously wandering if the woman would call the authorities. Rather than wait and find out, I take my leave. Fast. Note to self: put your money where you can easily locate it next time. Embarrassment from last night notwithstanding, I was back the next evening. I sit at the same table (there's only one with a €5 minimum), three seats from the right, playing the box directly in front of me. This logistical information is important, as things turned out. The table was very busy, with the maximum of three bets allowed per betting square on almost all the eight boxes. My box was free when I sat down, but two other players are also now betting on it, including a sprightly Asian woman to my left. Now, I'm always uneasy about other people playing on my box; standard casino protocol is that whoever is first on the box makes the play decisions, but there can be confusion, and I don't ever want to be in a situation where a poor player is allowed to make the wrong decision on a spot where I should be in control - bad plays in blackjack cost money. As such, when I sat down, and the girl to my left joined my betting box, I asked her if she was happy with me making the decisions. I received a brusque, bad-tempered response in the affirmative. Still, I'd rather play alone. After a few hands, the player on my left stopped playing, so I asked if he'd be happy with me taking over his box. He appeared to indicate he was, so I shifted my bet one box to the right. I was now playing on the second betting square to the right, and sitting immediately to the left of that square, on the third seat. That player then left, and another took his seat, putting his chips in the betting square. Still, I was there first, so I'm calling it. No problem. We carry on, with me seemingly calling the play. A few hands later, our box receives a 2 and a 3, and the dealer takes a 10. I slap the table for a card. The dealer makes a negative gesture to me, and tells me my neighbour needs to make the decision. My neighbour is another Asian, and without intending any racial sleight here, Asians are amongst the worst blackjack players on the planet - if it's possible to play a hand wrong, they'll play it wrong. I say this from substantial experience of watching them play. Asians are committed, passionate, superstitious gamblers, and said characteristics do not really stack up with sensible number-juggling. They're just bad players. Dealer: "He's sitting behind the box, it's his decision". Me: "I was playing the box first". Dealer: "It doesn't matter. Whoever's sitting behind the box makes the decision. Me: "No no no no. I was here first." Me: "The fellow who was playing there stopped; I asked if I could have the box, he said yes and left; this other fellow (indicating my neighbour, who's probably highly embarrassed at this point) came AFTERWARDS, so I'm calling the decisions." Pit boss: "In this casino, the person sitting behind the box makes the decisions. It's the rule." Me: "Are you kidding? In every casino I've been in in I've every country I've been to, the person who's first on the betting square is in charge." Pitboss: "Not in this casino". At this point, I throw my hands up in anger, then wave at the table, indicating to my neighbour that he play out the hand - if those are the rules, I'm stuck with it. Please, please, please let it be an easy hand. We receive a 2 on our 5, for seven. He asks for a card - so far so good. Next card is a 10, for 17 total. He stands, correctly. I almost fall off my chair with relief. No disasters. I instantly shift my next bet to the original box I was playing, directly in front. Although it turned out alright on this occasion, not knowing that I wasn't calling the box I thought I was calling lost me a bit of "expected value", as there would be occasions when this would go against me, where my neighbour would make a wrong decision and cost me whatever the lower return of that play would be. As such, on this day as well as on day one, I unwittingly found myself in a "negative value" situation. As an amusing conclusion, I stopped playing and was counting my chips prior to handing them to the dealer to change into larger denominations to take to the cashier desk. Play carried on, and when the dealer got to the box I'd just left, she looked to me for the decision. I realised exactly what had happened - she'd temporariliy forgotten I wasn't playing any more. However, I took the opportunity to theatrically throw my hands in the air, say "It's their money and I get to make the decision??? ", and collapse with my head in my hands. The pit boss then patiently pointed out that since it wasn't my money, it wasn't my decision - the dealer had simply briefly failed to note the fact. But I already knew this - I just thought I'd take the opportunity to indulge in some additional histrionics. I thought I was owed. Then I left the table. I suspect players, dealer and pit boss were glad to see the back of me.